I remember the cubby room with coats on every hook. Taking layers on and off. I remember wearing raincoats and rain boots from Lands End and setting them on trays after recess. I remember quiet days spent in the sun in the summer. The waves crashing and splashing in them careless of the temp of the water even in June. The winter I learned to ski while my parents took turns racing at Nubs Nob. Never thinking twice about the temperature but excited to get going just like them down the hills. The days I spent growing up here in Northern Michigan are still some of my purest and most joyful memories as a child. Though we moved away but still came back in the summers, I still remember it all and it always has been a part of who I am. It is what brought me back here after all. I could never fully leave the lake. I couldn’t imagine Hayes not having these experiences either. Moving back here we never consciously were connecting how raising him here would evoke such deep memories of my childhood. I never really thought about how coming back and watching him on the lakeshore playing would remind me of how magical those days were for me or how they set the course of where my soul would forever feel home. Motherhood has done a lot of things for me. It has made me a stronger and more compassionate person. I have accepted parts of myself that are ugly and need to be let go of or in the least embraced as who I am. There have been moments where I have had to be stronger than I knew I was capable of. I had to let go of old ways in order to make room for better ones. It showed me how perfect is really overrated. But the thing it has done the most of is to expand my view of the world. 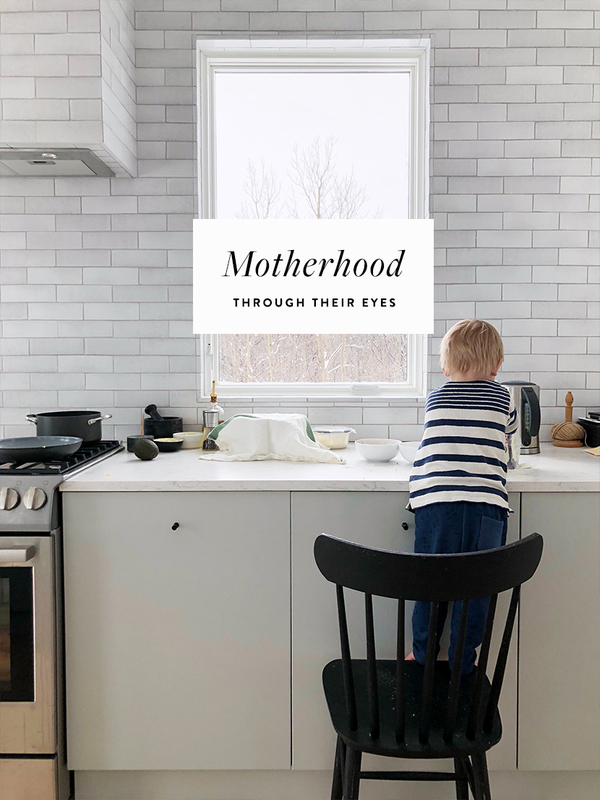 Before becoming a mom, my world was very closed and my eyes were focused in one direction (on myself). That is a hard reality to swallow, but over time I have seen it and embraced that was who I was and who I still struggle to fight off at times. I am able to see beauty in myself in a never could as I watch him every day. We have the same nose and cheekbones and we even are built similarly. He is a lot like me and I never knew that loving someone who had your features so deeply would ultimately make you love yourself and find grace for yourself in such a profound way. Most of all though, every year I am reliving my childhood with a new eye. From reading books and hearing their in a whole new way (for the good or the bad) but most of all the moments in my childhood that I realize more than ever shifted the course of my life. The days on the water this past summer were less than I would care to admit. Building a home, running businesses, and finding a real balance with everything wasn’t as easy as I would love to think it was. But we enjoyed some really special days together on the big lake. They happened later than we thought they ever would in the season and collected more rocks than Mike ever would have wanted us to. It was really special and the older Hayes gets the more I see this happening more and more. Reliving your childhood through your own child is such a beautiful thing. To see what your parents saw of you is even more special. The joy in his eyes when he heard a woodpecker the first time. The way we go on walks every day and take in the weather no matter what. I remember these days as a child too. It is so incredibly special and something I never really anticipated about being a parent. 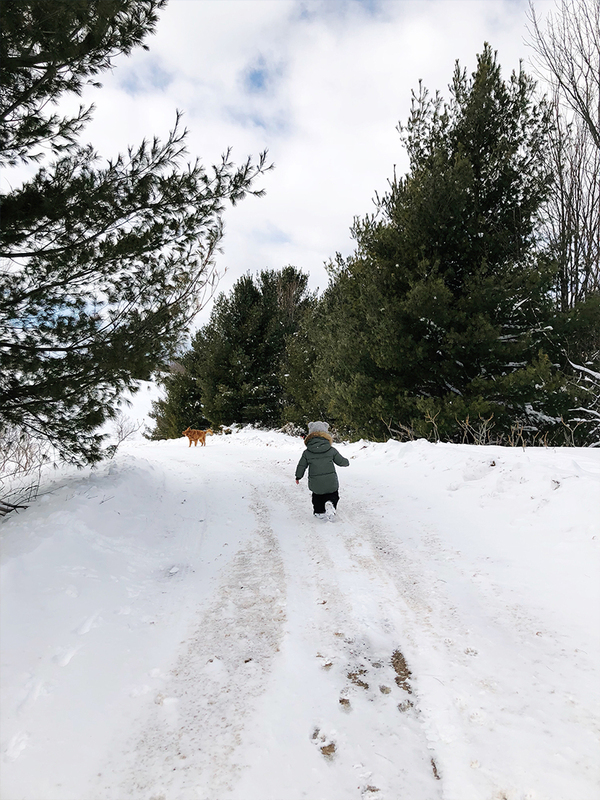 As I think about what lies ahead as the snow melts in the coming week (for the 3rd or 4th time) I am thinking of our garden and the days we will spend wandering the land. We will learn a lot and I will relieve so many precious memories of my own. 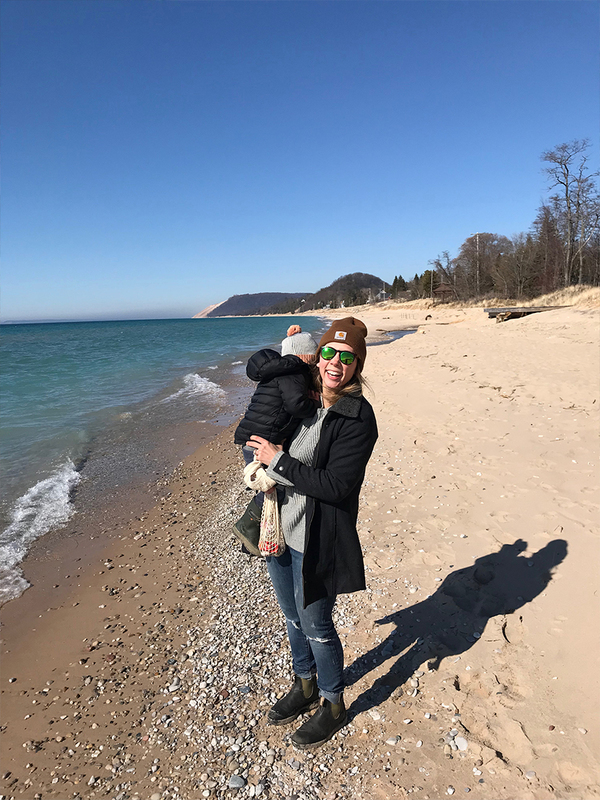 We will take some little trips to places and most of all we will head to the beach to enjoy what we love the most living here; Lake Michigan. 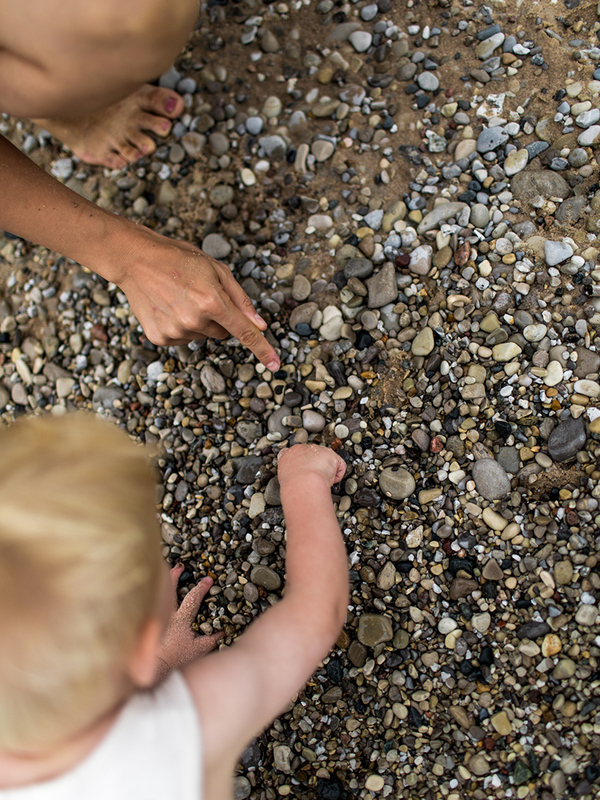 He and I will collect rocks and I will tell him about Petoskey Stones and he will learn to look for him just as I did. We will talk about how we care for the water and the land. We will learn together about new things on hiking trails and probably get a dose or two or poison ivy. Life will feel really magical in a way it only can when you see it through the eyes of your child. These moments are precious and fleeting and oh how I want to bottle them up. I do my best I can just as we all do as parents. It seems at times those really hard days are somewhat behind us. Sure things still are challenging in little ways and our days may never go as we plan, but the further we get down on this journey the more I realize it is best to open our eyes and hearts to these little ones and to get down on their level to see the world at their place on this earth. It is both the chance to see the world through their eyes, but also to experience our own childhood all over again. We find play again with them. We get dirty again. We find calm from entering their world even if just a little bit each day. Motherhood slowly becomes more comfortable to me even now at over 2 years in I still struggle at times. I still feel new and fresh in it, but I hope in some way it always has that sense to it. I hope I can always find the challenge and opportunity to grow within it. It isn’t always easy, but the rewards are sure great when we can. I love this! I am pregnant with my first and it was just so good to read your heart! I feel like I’m going to be able to relate so much to what you are saying! These are my favorite of your posts! I am right there with you learning the same lessons with my two little ones. Love this post and completelY agree. Where is your Dress and his rOmpers from? I chose to raise my son far from where i grew up – a continent away, in fact – but as time goes on, i can see the joy my parents must have felt in discovering every day with their first born. i proudly flaunt that he has my features and count the hugs i get daily. while the first year away from family and figuring out how to work and raise a kid all at once was, at times, dark, children truly are the brightest thing that we can put in our lives. I just love your writing! Beautiful post! I actually just wrote about something similar on my blog. my son turns one this summer and i can’t wait to start exploring with him and seeing the world through his eyes, as you say. again, great piece & love your writing!